Leeds United say they want to see the Football League's TV contract with Sky. The Championship club have their 10th league game of the season screened on Monday, when they host Middlesbrough. Leeds deny reports that they want to end the collective deal but oppose the "control" Sky have to move matches and want "transparency" over the contract. "Today's article seeks to position Leeds as a lone, isolated voice. This is far from the truth," said Leeds executive director Paul Bell. The Football League's present contract with Sky is worth £100m-a-year. Bell attended a meeting of Football League clubs on Thursday, where he said "clubs could discuss matters together, privately and confidentially". He added that it was "disappointing to read inaccurate press reports quoting 'sources' from within the meeting". Leeds say they are in favour of collective bargaining and a statement released by the club highlighted the benefits of such contracts. They also said it was their duty to "protect the long-term interests of the club" without mentioning exactly what they did say at the meeting. Sources have told the BBC that Leeds do want to negotiate an individual TV contract. Leeds are known to be unhappy at the number of times they have been selected for live TV coverage this season. 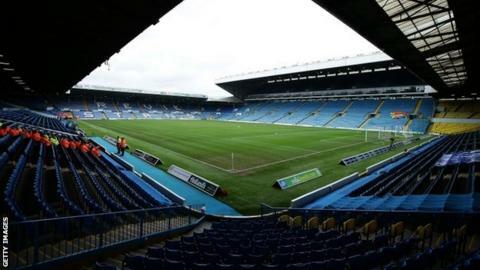 The Football League took out an injunction to force Leeds to play Middlesbrough at Elland Road on Monday. That game was moved at less than four weeks' notice, although the Football League previously said this was due to a legal challenge by Leeds. United have also had their game at Brighton moved from Saturday, 27 to Monday, 29 February for the same reason. That will be their 11th live TV game in the league this season. Leeds chairman Massimo Cellino initially refused Sky entry for their home game against Derby on 29 December, although the club eventually allowed the broadcaster access. "The club has made it clear to both Sky and the League that it opposes the degree of control exercised by Sky over the league fixture list, and seeks transparency as to how these rights have been sold," added Bell. The Football League has declined to comment for legal reasons.